The Orient pull up banner stand is quick and easy to use! 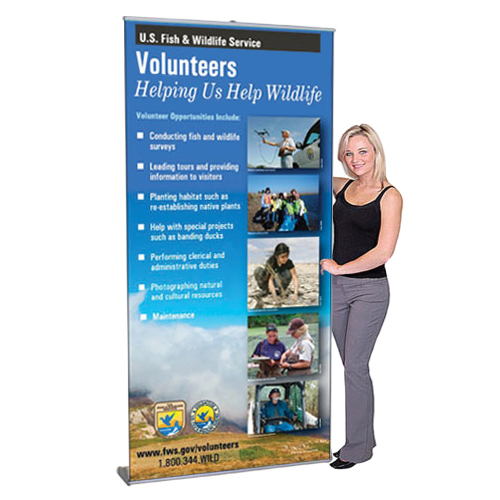 The banner stand base is finished in anodized silver or black with heavy duty molded endplates. The Aluminum top grip rail holds the printed banner tightly in place. The 3 individual steel poles have bungee cords to keep the snugly in place,the pole drops into barrel fitting of base. Shipping Size: 40.55" x 7.28" x 3.15"